Join us for exceptional music, coffee, and dessert in an intimate setting at one of our Friday night Green Wood Coffee House events. Reservations are highly recommended! (1) Online reservations/purchases may be made though the paypal links found with each concert listing, (2) Conventional reservation method is to call Green Wood (665-8558) and leave a message with your name, no. of tickets, and performance date; then write a check to “FUMC” for the total, with “GW Coffee House” in the memo and send to: GREEN WOOD – 1001 GREEN RD., ANN ARBOR, MI 48105. Doors open at 7:30 p.m. No tickets mailed; simply give your name at the door. Tickets will be available online through 6pm the day of the show. We are unable to accept credit cards at the door. Times are tough — money is tight. Music brings comfort and joy. If your budget prevents you from paying admission, please don’t stay away! At the door, simply pay what you can, or mention that you are on the guest list. It’s just not the same without you! Greg Kihn's career stretches from the dawn of punk and indie rock to the discos of the 80’s to the glory days of MTV. As a pioneer with the legendary Beserkley Records, he helped write the book on revolutionary west coast rock and roll. He’s toured the world; had hit records; appeared on Saturday Night Live and American Bandstand; opened for the Rolling Stones; jammed with Bruce Springsteen; won the ASCAP and Midem Awards for his worldwide #1 hit, "Jeopardy" and for "The Breakup Song;" was parodied by Weird Al Yankovic; won and lost several fortunes; and lived to tell about it. But music is only part of the story. In the 90’s Greg turned his attention to writing fiction. He published four novels, a handful of short stories in various anthologies, and edited a compilation of original fiction by famous musicians. "Horror Show" was nominated for the prestigious Bram Stoker Award for Best First Novel. It was also in the 90’s that he began his radio career. Greg spent sixteen years hosting the top-rated morning show for KFOX radio in San Jose/San Francisco. He also hosted and performed at the annual KIHNCERT at the Shoreline Amphitheater featuring some of the most important bands of our generation. 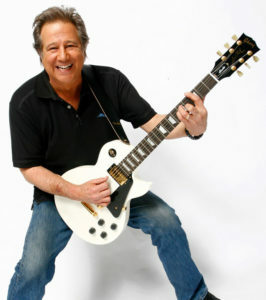 Greg was inducted into the San Jose Rock Hall Of Fame in 2008 and the Bay Area Radio Hall of Fame in 2012. Greg recently retained the rights to all his old recordings and is currently re-releasing his entire catalogue with the original artwork. The recent review of the Greg Kihn Band’s Greatest Hits by Apple iTunes called the group “a rock band of genuine consequence." Greg maintains a strong Internet presence. Thousands of fans engage him daily on Facebook, instagram, and Twitter. RUBBER SOUL is Greg’s most recent novel. This completely unique murder mystery features the Beatles as characters in the story. The idea came while interviewing original Beatles drummer Pete Best. Greg asked where the Beatles got those rare American R&B 45’s that constituted their early repertoire. Pete revealed that it was from Merchant Marines who carried the records back to Liverpool from America. Through interviews with Paul McCartney, Ringo Starr, Pete Best, Yoko Ono, and Patti Harrison, Greg got invaluable insights into the inner world of the Beatles. Even though "Rubber Soul" is a work of fiction, it is 100% historically accurate. © 2019 Green Wood Coffee House Series.